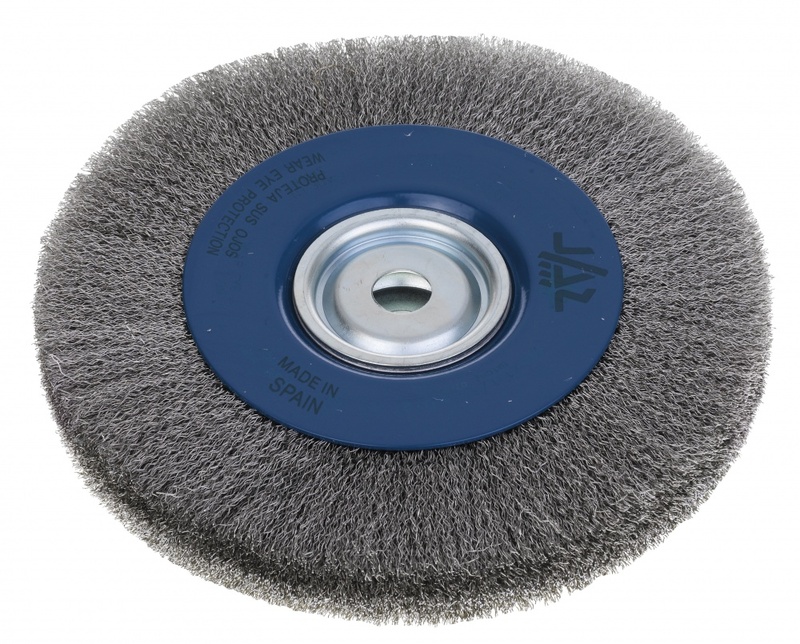 Applications: These wheel brushes are designed to work on rotating shaft machines such as bench grinders. They are supplied with multiple centre adaptors to fit a wide range of shafts. They are ideal for applications where the work-piece can be presented to the wheel by hand (Suitable protection should always be worn). The stainless steel crimped wire will give a controlled brushing action for cleaning, removing coatings and preparing fabrications and castings for final finishing. Stainless steel (AIS1302 or higher) crimped wire. Mounting adaptors included range from 13mm (1/2in) to 50.4mm (2in), (not shown in photo). Also Available: If you don't need stainless steel, we also stock similar wheels in brass coated steel wire at lower prices. 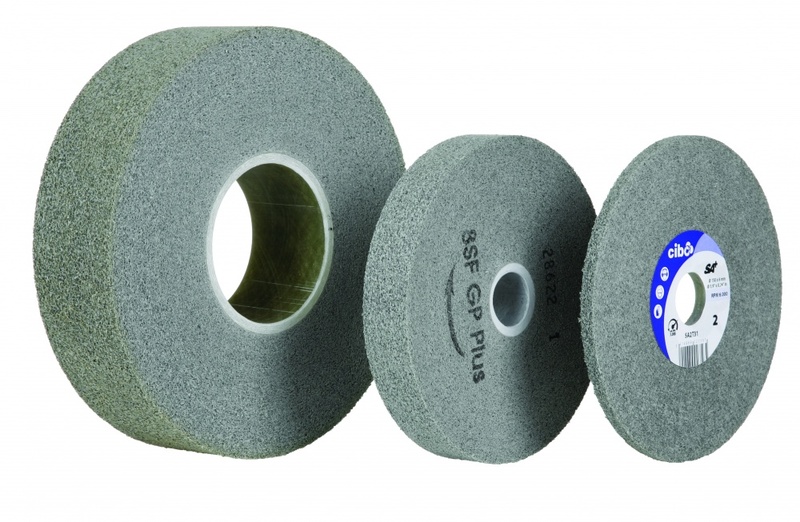 Also suitable for use on stainless steel, we stock stripping wheels in 150mm diameter that will fit onto tapered shafts. 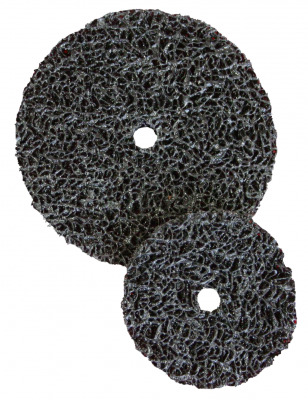 Unitised wheels improve metal surfaces buy removing coating and scractches and leaving bright finishes. Convolute wheels are made with similar material to unitised, producing larger wheels for fine metal finishes. 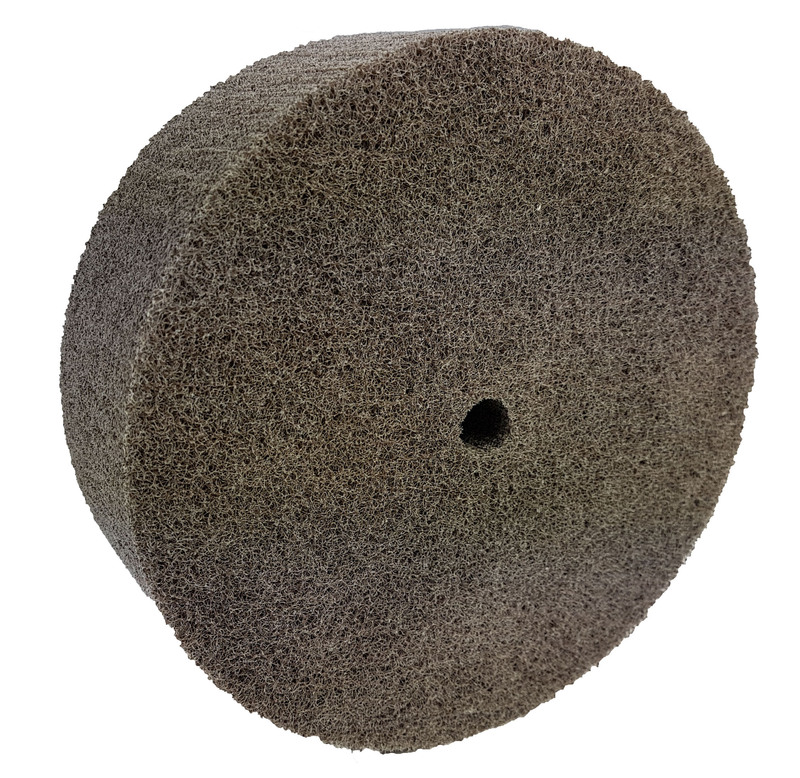 Plain discs or wheels can be mounted to fixed spindle machines, or by using our mandrel (shaft assembly) they can be mounted for use on hand tools.